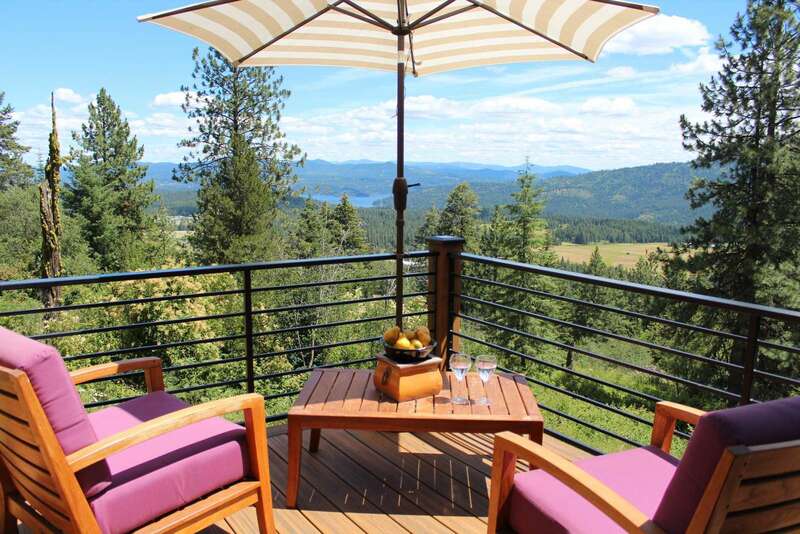 Mountain-top gem nestled amongst the evergreens, looking down onto beautiful Lake Coeur d’Alene Eagle View Getaway is the perfect place to relax with family and friends! Kayaks included...see details below. 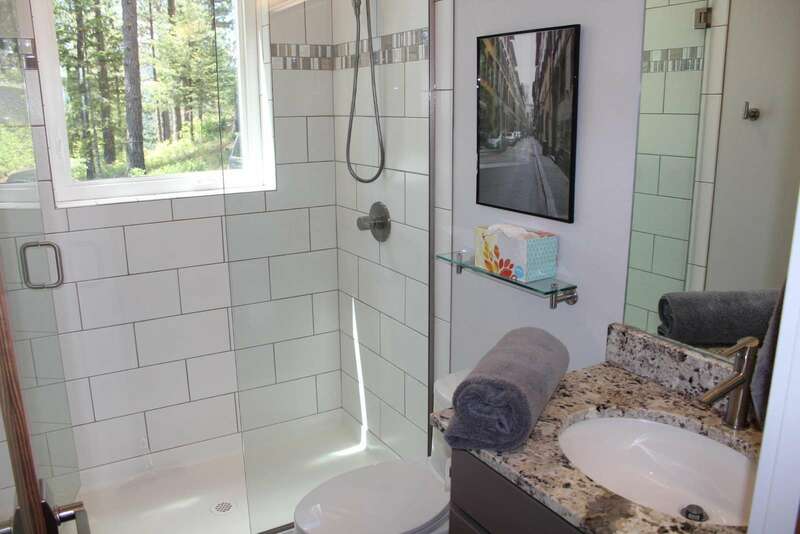 Located at the top of Sausser Drive, this stunning home offers some of the most beautiful views this area has to offer. 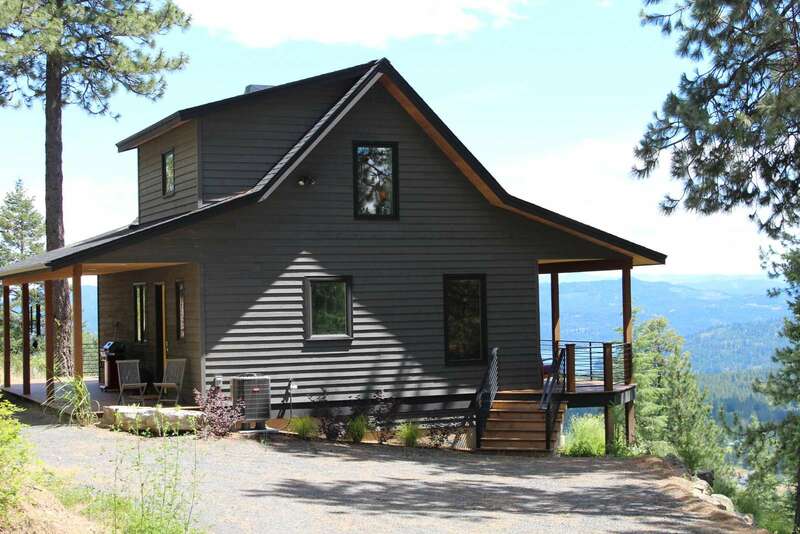 Perched on a mountaintop, it is peacefully hidden away from it all, yet is only 8 easy miles from the charming downtown Coeur d’Alene, and less than 4 miles to the nearest boat launch. 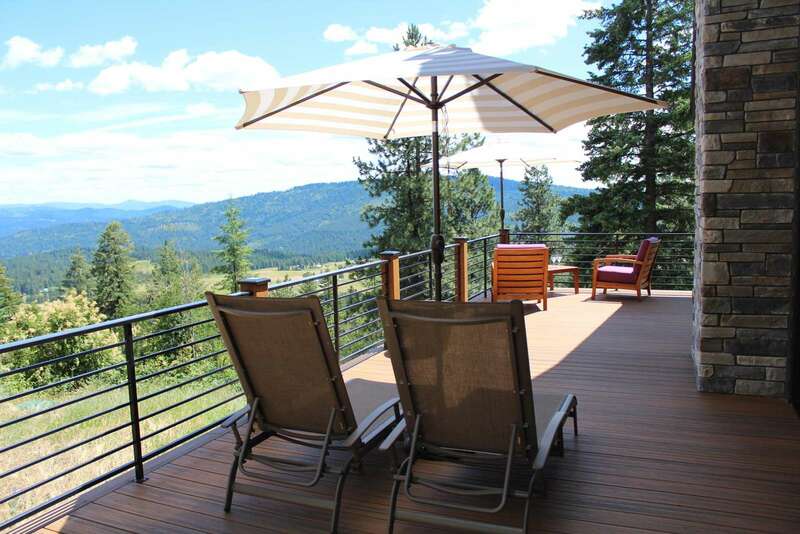 And, near Black Rock Golf Resort and only 15 miles to Circling Raven Golf and Coeur d’Alene Casino. From the moment you step inside, you will be swept away with the comfortable, contemporary decor throughout this beautiful newly built home. 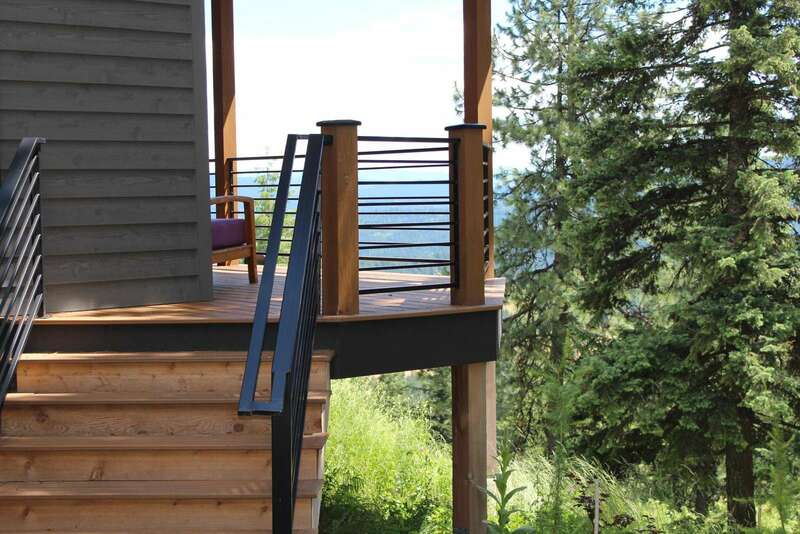 And the view for the wrap-around deck will steal your breath…surrounded with lush evergreens sweeping down the mountainside. Absolutely stunning! 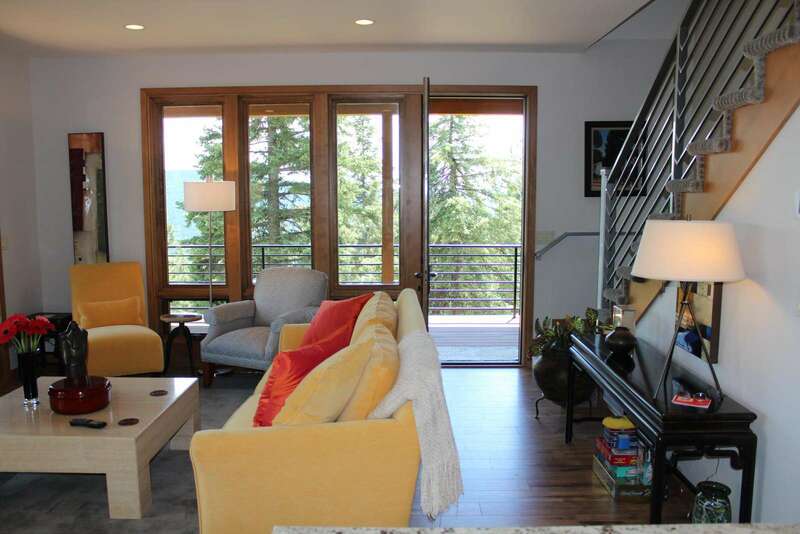 You won’t find a more peaceful location…the quintessential mountain escape. And, Mica Bay Boat Launch is less than 4 miles away, so you can be on the lake in just minutes. The home also offers a spacious shop near the home to store your boat until you are ready to hit the water. One day of kayaking included with rental: The owner will deliver four single lake kayaks to the nearby Mica Bay Boat Launch for one day's use...please contact SEASONS to set up the delivery date/time, giving at least 48-hours notice. 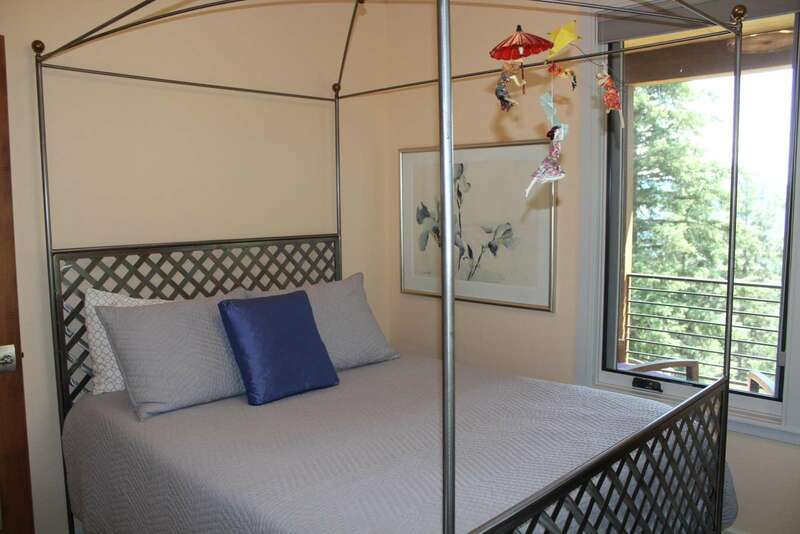 This home has two spacious and comfortable bedrooms with plenty of natural light and gorgeous mountain views. 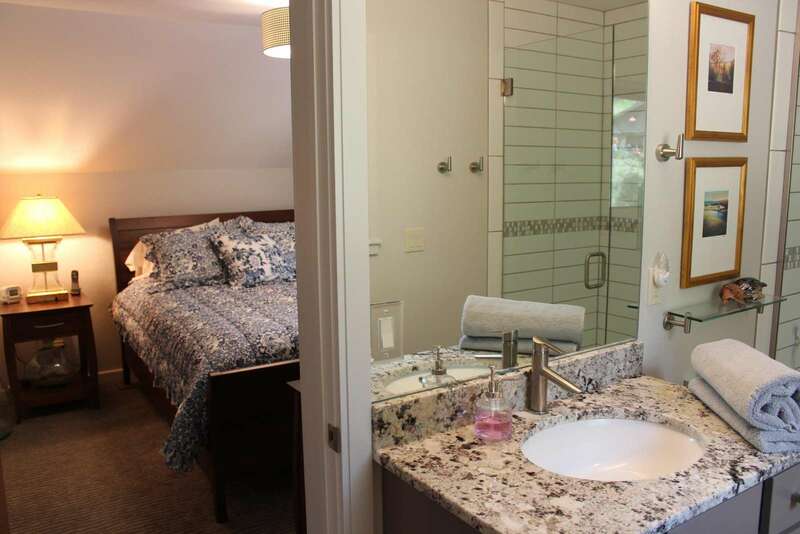 The master suite upstairs, has a queen-size bed, and an ensuite bathroom with a beautifully crafted walk-in shower. 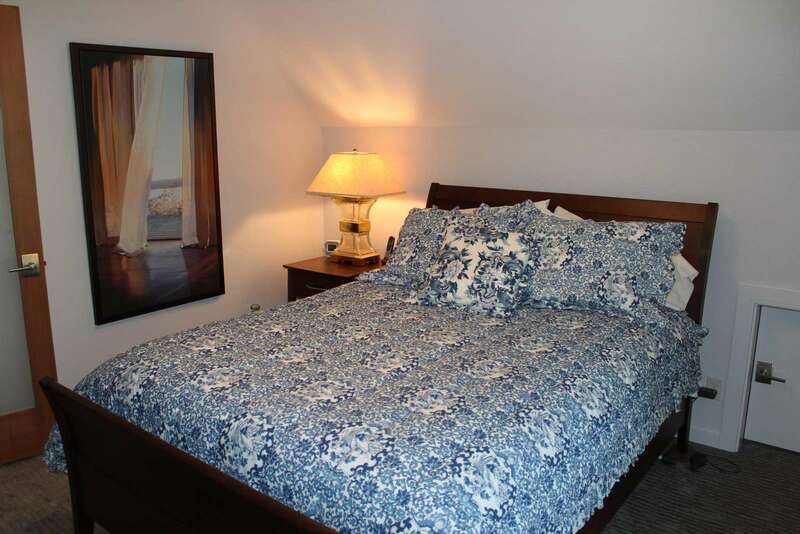 The second bedroom, on the main level, has a queen bed and two large windows. 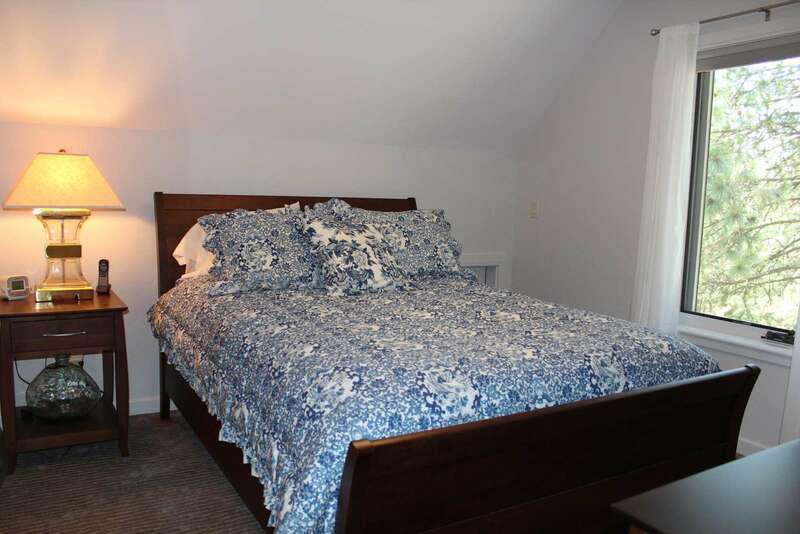 Both bedrooms have plush carpeting that feels like tiny pillows below your feet. 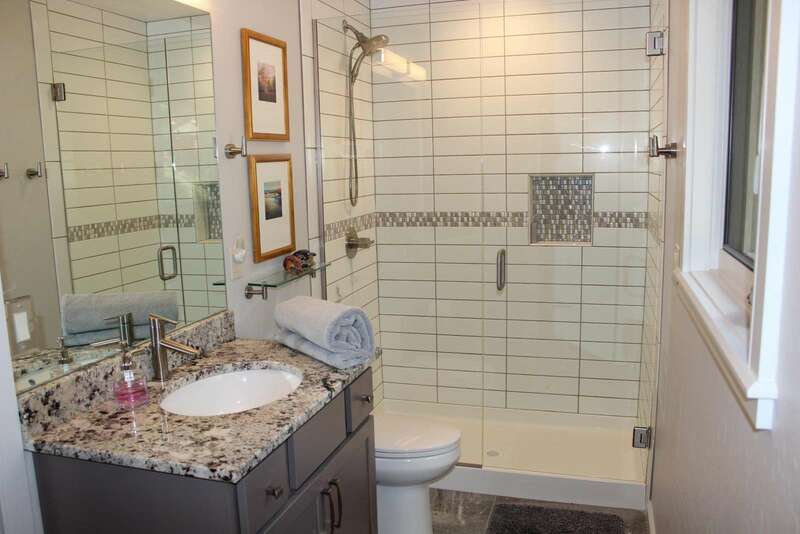 Just around the corner from the second bedroom is a full bathroom with a walk-in shower. 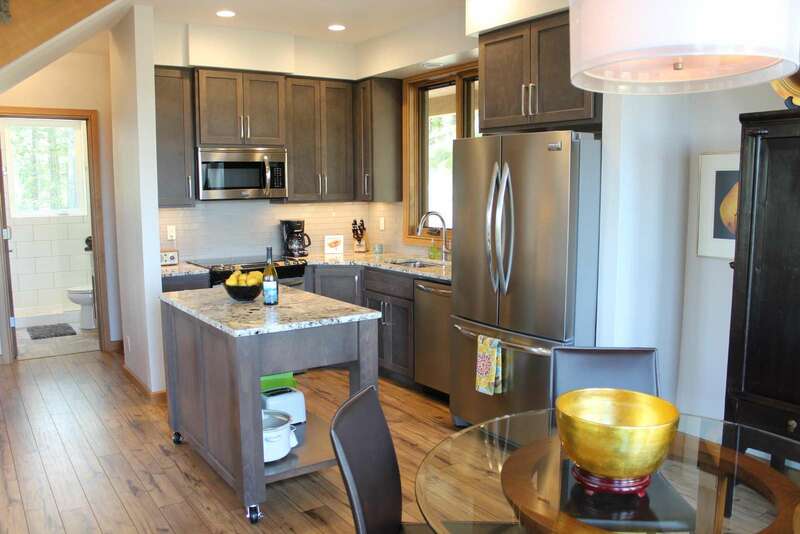 The gourmet kitchen has every amenity imaginable from top of the line appliances and rustic granite countertops to a large variety of cookware and dishes needed to whip those special meals to share with your guests. 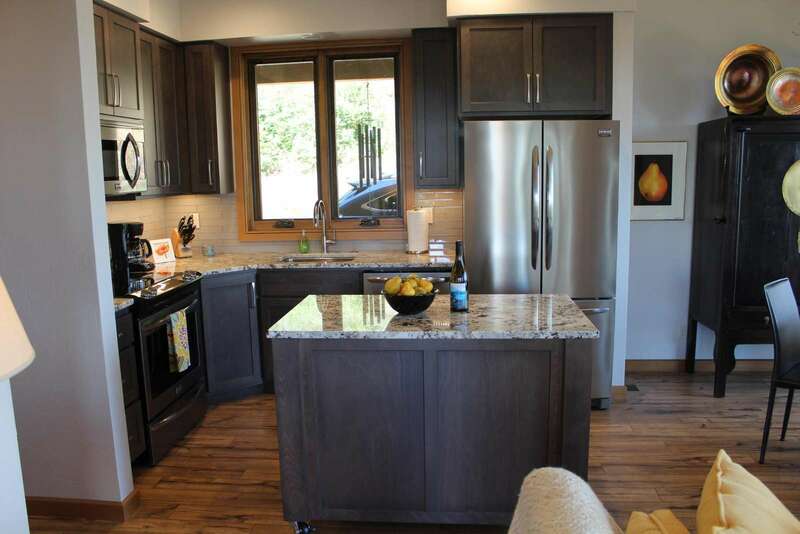 Included is a microwave, dishwasher, large and deep sink, coffee maker and toaster. A chef's dream! An elegant glass dining table seating four…perfect for hosting shared stories and laughter. 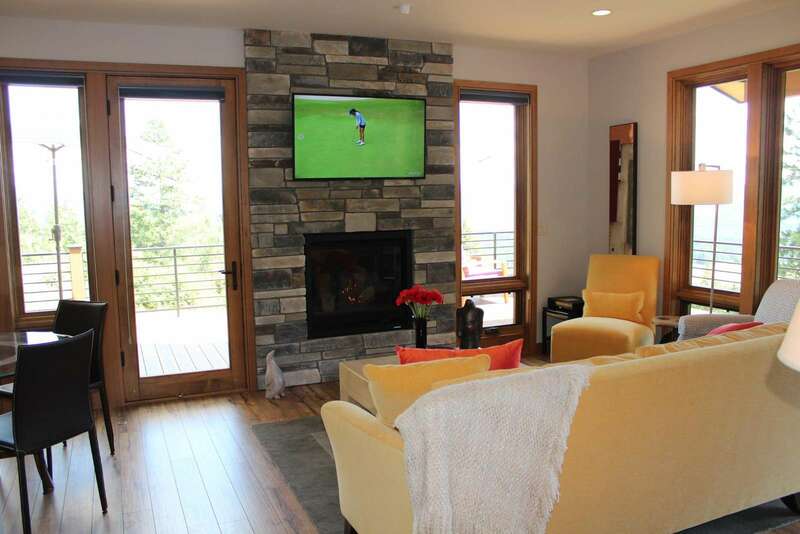 The living room has two comfortable golden-colored couches, a gas fireplace topped with a large flat screen TV...a cozy and comfortable space for those crisp, chilly evenings! 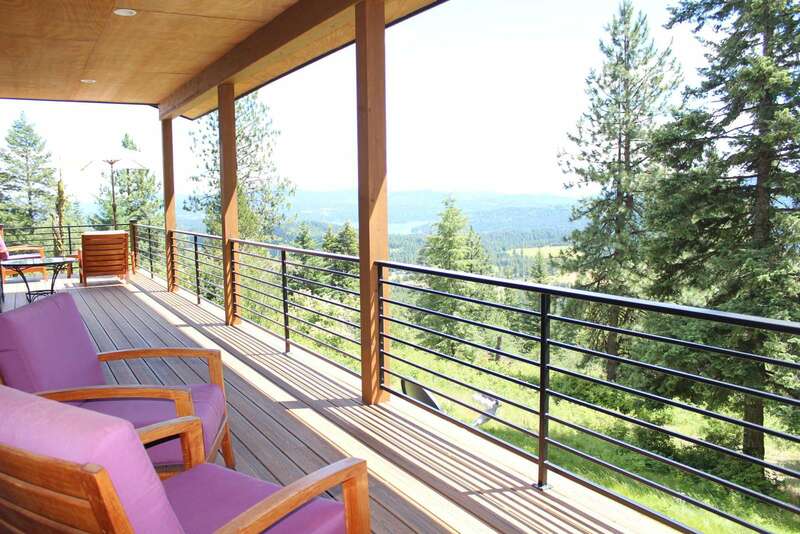 A large partially-covered deck awaits where you will gaze upon one of the most beautiful views you can imagine. 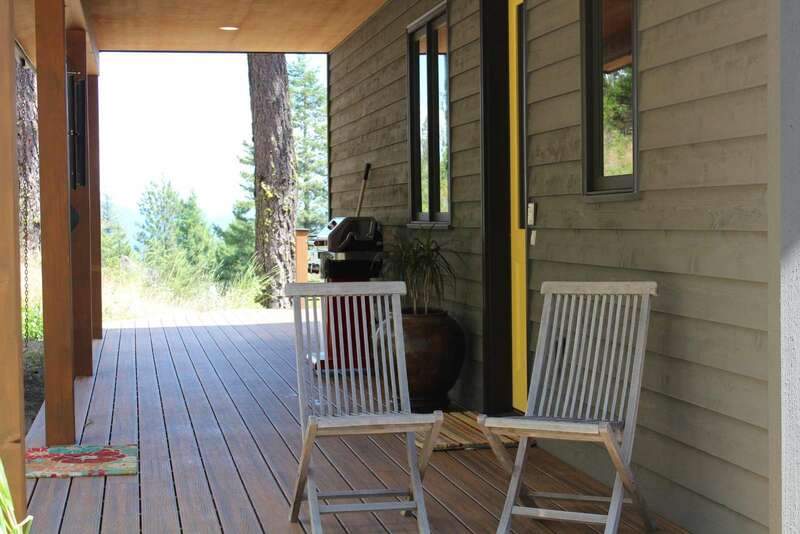 It has comfortable cushioned chairs, lounge chairs, sun umbrellas that tilt if needed, and a propane BBQ…all with views that physically pull any stress out of you. The only thing missing is a chilled bottle of your favorite bubbly and family with whom to share it. 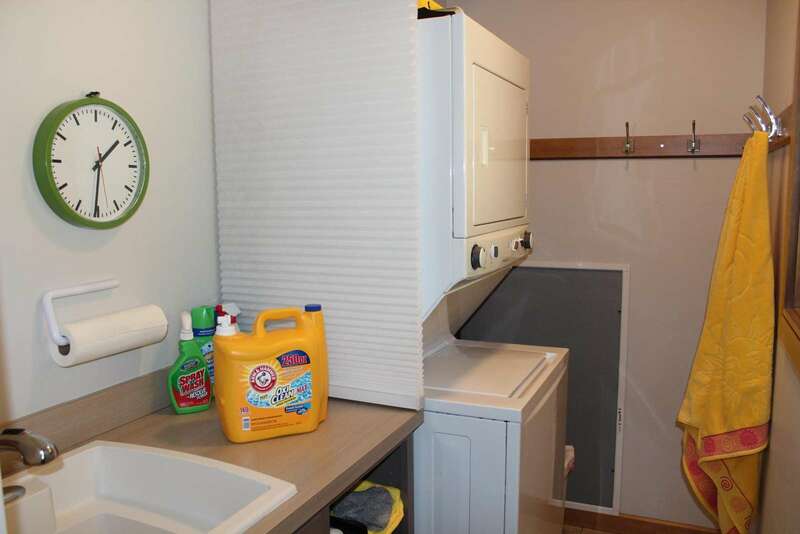 Washer and dryer in a separate laundry room for extended stays or dirty expeditions. 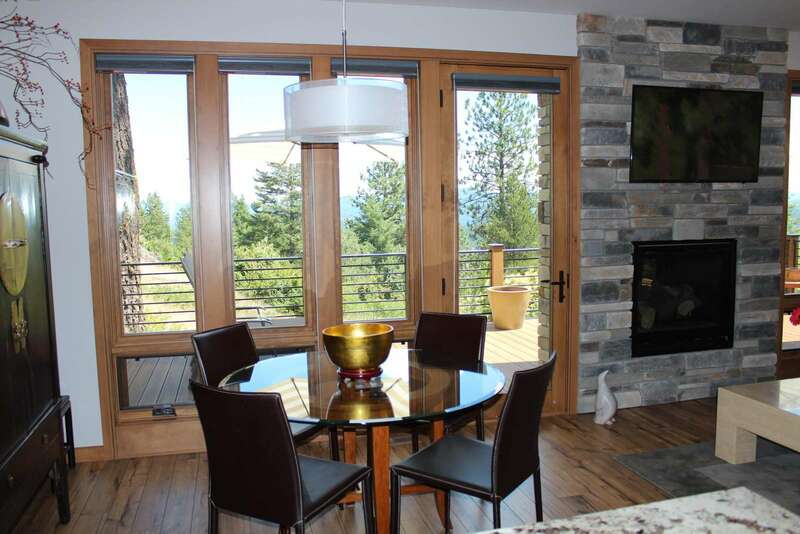 This home has cable TV with full package options (HBO, Showtime, etc. ), WiFi, a Bose sound system synced with BlueTooth, and A/C. Cell service is very good…especially with Verizon. 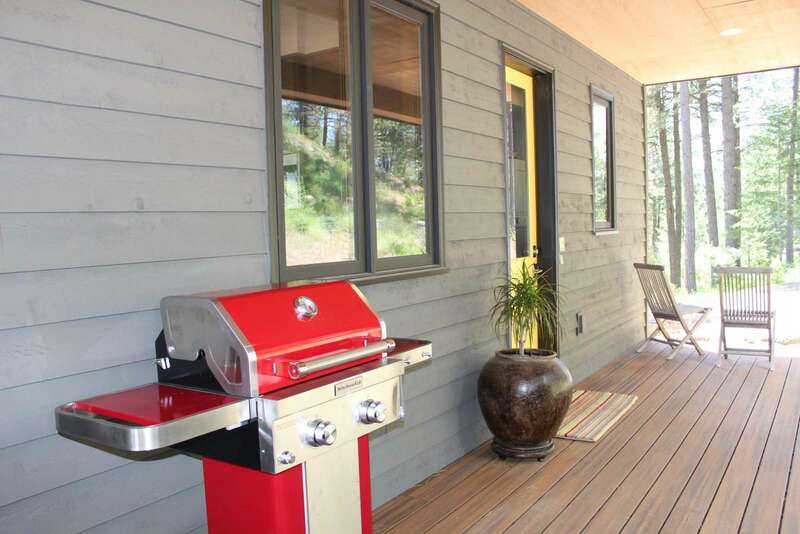 Monthly rentals are available during the shoulder and off-season. 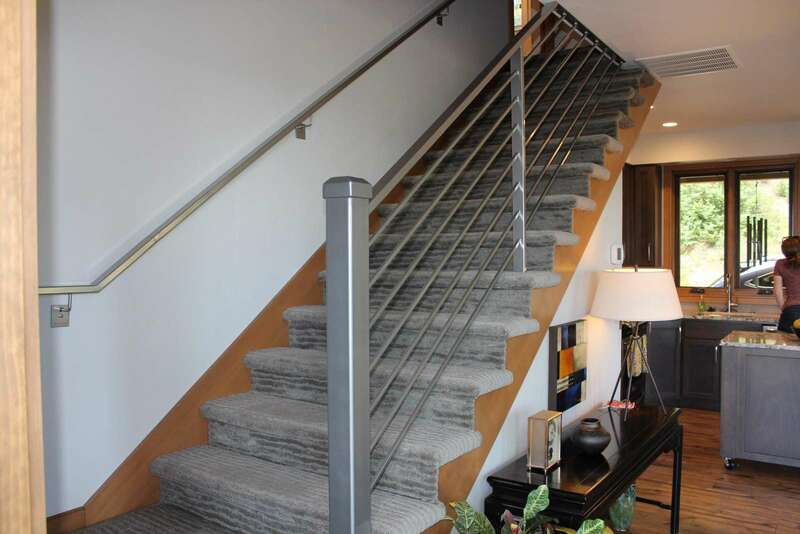 Please inquire for prices or to discuss monthly rental options. Let us know if you require any additional information. We are always happy to help and will respond within 24-hours or sooner. We require a cancellation notice in writing or confirmed email. If cancellation is made before 30 days of your reservation date, 15% (of total rent) rebooking/cancellation fee will be charged. If there is less than a 30-day cancellation notice, 50% of the total rent will be charged. If there are less 14 days notice, no refund will be given. If a guest chooses to depart early, no refund will be given. Travel insurance can be purchased if desired. 50% of the rental price is due by credit card to book the reservation. Within 30 days of the rental date, the remaining balance (50% of the rental price, plus 8% tax, a mandatory cleaning fee, a mandatory insurance fee, and a 3.5% credit card processing fee) will be charged to the same credit card. Use this handy calendar tool to view the availability of all our properties at once. You can find more information about the property by clicking on the property name. You can find rate information as well as minimum stays, etc. by hovering over a particular date.